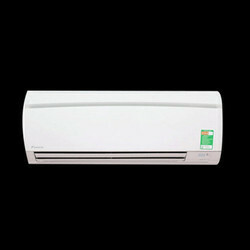 Wholesale Trader of a wide range of products which include 1.5 ton daikin split air conditioner, daikin 1 ton split air conditioner, daikin 1.5 ton split air conditioner, daikin 1.8 ton split air conditioner, daikin 0.75 ton air split air conditioner and daikin 1.5 ton 3 star split air conditioner. Being renowned enterprises, we are offering an optimum quality assortment of 1.5 Ton Daikin Split Air Conditioner to our customers. Now get an elegance-loaded air conditioning experience with Daikin’s FTL Series. Designed keeping in mind’s today’s dynamic air conditioning needs, this series strives to deliver comfortable room conditions & maximize energy Savings. Stay fresh throughout the day by choosing Daikin’s ETL Series for your air conditioning needs. It is the most appropriate choice to remove excess moisture from the environment. Loaded with several exciting feature, it is second to none. Designed to perform exceptionally well in humid environment, Daikin FTL-S Series of air conditioners come with anti-corrosion treatment. Its outdoor heat exchanger fins are processed using a special anti-corrosion treatment. Available in the capacities of 3.5, 5.0, and 6.0 kW, Dakin’s ATKL Series of air conditioners gives an unmatched air conditioning experience. Designed to deliver optimum performance, it boasts of some of the most unique features in the air conditioning industry. It’s time to embrace next-gen air conditioning experience with Daikin’s DTKL Series. Its good sleep off timer gives automatic temperature increase to avoid excessive cooling. In addition, its self-diagnosis feature auto detects the error and shows the related code on the remote screen. 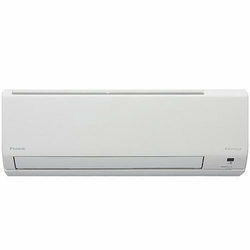 Beat the heat with Daikin’s FTKP Series of inverter air conditioners. It comes with PM2.5 filter which gives a contaminant-free air conditioning experience to you. Moreover, its 3D air flow ensures uniform cooling, reducing compressor running time and resulting in power savings. Daikin's new FTKL-S Series is designed to withstand at high corrosive Environment like dump yards and chemical waste areas. Its good sleep off timer provides an un-interrupted night's rest by automatic temperature adjustment. The perfect answer to today’s air conditioning needs. Save more, enjoy more with this next-gen inverter air conditioner that features econo mode, coanda airflow, power chill operation and more. It is available in 3.5, 5.0, 6.0 kW cooling capacities. Switch to health-giving air conditioning with Daikin’s JTKJ Series. Its patented streamer discharge technology ensures that you and your loved ones enjoy a high-class air conditioning experience that would be second to none. Considering the increasing pollution in the country. Daikin is introducing anti-pollution series which features daikin patented streamer discharge Technology. 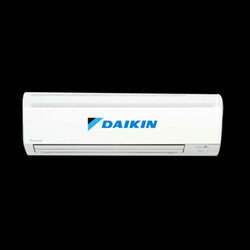 We are engaged in offering to our clients a wide range of Daikin Split Air Conditioner to our valued customers. As an acclaimed entity, we are offering a premium quality collection of Daikin Residential Split Air Conditioner to our valued clients.